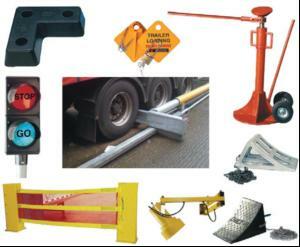 Awide range of safety aids and accessories are available from Thorworld Industries. All are designed to provide a safer, more productive working environment and help fulfil some of the statutory health and safety regulations. Included are products to prevent vehicle creep, such as wheel chocks which are positioned in front of the wheels to stop movement. There are four standard Thorworld Chock-it wheel chock types, including moulded rubber versions, which are available in a variety of sizes, together with cast aluminium and steel models. For enhanced safety, a special cast in movement switch is available. 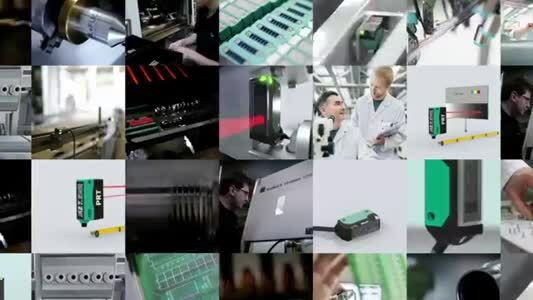 This can be linked to other devices such as traffic lights, dock levellers, a Dockloada lifting platform and doors, to instantly alert staff if any vehicle movement is detected. A method of preventing unintentional pull-away is via a trailer safety lock which is fitted to a parked trailer once the air hose has been disconnected; this prevents the driver connecting the trailer and driving away. Thorworld also offers four traffic light systems that can be used with a wheel chock incorporating a built-in movement switch, with a manual on/off switch, or in conjunction with an automatic sensor. Prepared for the Christmas rush?